Recipient of the 2017 Lifetime Achievement Award for her accomplishments in performance, exceptional teaching, pioneering therapeutic music in hospitals, and in pioneering ergonomics for musicians, Laurie is known internationally. She has toured, adjudicated and taught for over 30 years. She is best known for her work on the double-strung harp and the lever harp, and is also a multi-intrumentalist. Her music career began with guitar, dulcimer, banjo, and bodhran. She performed extensively, and founded The Folk Project (http://www.folkproject.org) in 1971. In the ’70’s she toured with the band Frostwater (www.frostwater.com). 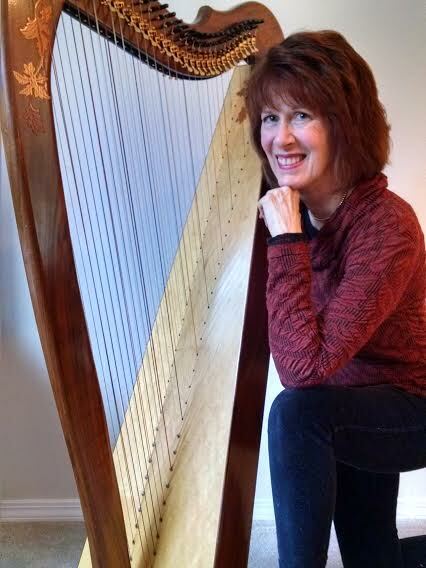 Taking up the harp in 1981, Laurie toured for 10 years in duet, and another 10 years as a harp soloist. She has recorded over a dozen harp albums, and is a respected author of numerous music-related books and instructional DVDs. Her music has been heard on American Airlines, NPR’s All Things Considered, the Narada Collections, and other venues worldwide. She played with the Chieftains during their U.S. tour in 2002. Laurie was a pioneer in the teaching and practice of therapeutic music as a bedside service in hospitals, founded two accredited therapeutic music certification programs that train musicians for hospital work, and was a charter member of the National Standards Board for Therapeutic Music. She also founded the Transformational Ergonomics Certification Program. Currently she does professional consultation in music career development, recording production, performance skill development, and ergonomics. Hi, thank you for writing these beautiful article. May i seek ur opinion to share your articles on my website and Facebook. At the same time, I will certainly give credit to you too. Patricia, please send me your web address. I will look at it and then answer your request.